The growing social and regulatory concerns for the environment lead an increasing number of companies to consider green issues as a major source of strategic change. In particular, this trend has major and complex implications on the technological strategy of a company and on its product innovations. Even though it is increased eco-awareness of Malaysian customers during the past few decades, there are some barriers to the diffusions of more ecologically oriented consumption and production styles. Therefore, companies are increasingly recognizing the importance of green marketing concepts. The purpose of study was to investigate the consumer attitudes and perceptions towards eco- friendly products in FMCG sector and their willingness to pay on green products. This study was based on both primary and secondary data. The primary data were collected from the sample survey that was conducted in the three districts in western province such as Cyberjaya, Kuala Lumpur, and Petaling Jaya. 160 respondents were selected for the survey and respondents were asked to answer the prepared questionnaire. The questionnaire was designed to obtain the consumers attitudes and perception regarding eco-friendly FMCG products under four value added areas such as product designing, packaging, place and promotion that lead towards the motivation of consumption. The secondary data were collected from relevant journals, books and other published data. The study revealed that the green products have substantial awareness among Malaysian customers and they are willing to pay something more on green products. The majority of customers considered that package is most important element of such products. The researchers have recommended some marketing strategies to meet changing mind set of customers towards the green products. The whole World is identifying the need of the Green Marketing, Environmental Marketing and Ecological marketing which gives the same meaning to the research area. Although environmental issues influence on all most all activities in our day today lives, there were only few academic disciplines have discussed green issues in Malaysian market context. Especially from Malaysian business discipline, Fast-moving consumer goods (FMCG) sector is a considerably large sector in the economy which has to open their eyes on eco friendliness. As society becomes more complex with the environmental pollution and unethical business practices, now both consumers and business organizations are concerned with the natural environment. So businesses have begun to modify their behavior in an attempt to address this society's "new" concerns. The FMCG sector is one of growing industry that concern about the green marketing issues. Most of marketing practitioners are using green elements as powerful marketing tools. In this context, this study focus on examine the consumer attractiveness towards green products of FMCG Sector. Global warming was one of the environmental degradation signals that were a serious worldwide issue encountered by all global people in recent years. The negative impact of global warming includes melting glaciers in Arctic. The thickness of Arctic sea ice was melting decreased by 40% since 1960’s and its melting level was now at the alarming rate of 9% per decade. If the melting rate continuously increased without rescue action taken by people, the Arctic could be ice-free in 2040 (Natural Resources Defense Council). It can be predicted that sea level could accelerating rise until an uncontrollable level in future. Many countries will be disappear due to inundated by the sea. On the other hand, global warming will weaker ozone layer and caused about 120,000 people in a southern Chile city exposure to very high level of ultra-radiation due to ozone depletion and cause human suffering from cancer (Njie, 2013). Drastically change in climate also one of the impact of global warming. According to BBC News (2009), Typhoon Kestana occurred in Vietnam has destroyed or damaged about 170,000 homes and caused around 380,000 people homeless. Meanwhile, the storm also affected nearly 2 million people in Philippine and caused more than 100,000 people homeless (Conde, 2009). Apart from global warning, rapid industrialization that caused pollution in landfill, water and air also led to another environmental degradation signal. China has undergoes rapid industrialization and successfully become the second-largest economy in the world in year 2012. However, it does exacerbate its environmental deterioration. According to Yang (2012), up to 40% of rivers are polluted in China. The water pollution caused high cancers rates in China due to consumption of contaminated water that polluted by vary types of industrial sewage such as cadmium, lead, indium, zinc and other metals. Besides, air pollution does happen in China and it reached a crisis level. This cause millions of people in China are suffer under the smog every day. According to World Bank study (as cited in Tan, 2009), approximately 460,000 people die prematurely in China annually from those diseases related to the air and water pollution that are highly and continuously exposure to China people. Besides, many others environmental degradation and harmful activities that performed in the modern economy have always led to environmental issues and it always caught the attention of worldwide citizens. Through the efforts of government and society in education and publicity works, many people around the world are well informed the threats, negative impacts and consequences that endanger their environment are caused by the irresponsibility companies and their irresponsibility behaviour towards their environment. Hence, many environmental issues related terms such as air and water pollution, unexpected and rapidly change in climate, deterioration problem of ozone layers, and so on are quite well known by individuals. After realize the seriousness problems towards environmental issues, people from worldwide are willing to implement their own responsibility to safe and protect their environment because they believe their efforts can improve their quality of life in the future. Emerson, Esty, Kim, Mara, Sherbinin, & Srebotnjak (2010) stated that Malaysia ranked 54 out of 163 examined countries and performed better in addressing environmental challenges. This indicated that Malaysia has enjoyed one of the least polluted environments in Asia. However, massive industrial development in recent years caused Malaysia still facing a number of environmental problems due to an increase in urbanization and vehicle use. According to Waltraud Mayr (2010), about 56% of waste is recycled in Singapore, whereas Malaysia is projected to only reach 22% by 2020. This shows that Malaysia has low public awareness on recycling as compare with Singapore. An article in Bernama shows that littering was a common legal offence in Penang. Surprisingly, the main reason caused the river pollution was littering by Penang residents, no longer caused by industrial waste. Thus, it shows that there is a lack of environmental responsible behaviour expressed in Penang residents (“Garbage, Main Cause of River Pollution in Penang,” 2009). Besides, Malaysia realized that investing in environmental protection become increasingly important. Therefore, environmental awareness is building up. Currently, several other initiatives are being implemented by government to encourage consumers and industries to fully practice energy efficiency. For example, phase out incandescent light bulbs in order to reduce the emission of carbon dioxide. Moreover, a scheme set up by government known as Green Technology Financing Scheme was aim to promote industries for utilise low carbon and resource efficient technologies. Therefore, green services will be launched to reduce energy consumption and minimise pollution (“Market Watch”, 2012). Nowadays, environmental problems have caught the attention not only for worldwide citizens, but also worldwide companies and institutions. According to Papadopoulos’s study (as cited in Zand Hessami & Yousefi, 2013), consumers have more concern to their environments compare to the past and it will change their purchase behaviour. Thus, from the perspective of consumers, concern for environmental will greatly influence their decision making in selecting or purchasing goods or products. According to Polonsky and Rosenberger (2001) indicated that 84% people considered they have the responsibility to the environment. They are willing to purchase products from environmental friendly companies. Besides, environmental issues have change 49 per cent of respondents’ purchasing behaviour (Bowee’s study as cited in Zand Hessami et al., 2013) and 75% people become more concern on the environmental issues (Baker’s study as cited in Zand Hessami et al., 2013). People become more consciousness and awareness towards environmental issues has led to a green revolution and alters peoples’ demands and purchase behaviour. Consumers who purchase those eco-friendly products and services will have positive effect on the environment. A new market was developed which known as green marketing. Those customers who concern about the environment and support green marketing are known as green consumers. Normally, this kind of consumers will practice their consumption behaviour by purchase green products that have less impact to their environment. In additions, property sector also involved in concerning the environmental development by develop the green building such as Hotel Penage and 1 First Avenue, and Digi Technology Operation Centre Malaysia. Other than that, hypermarket chains such as Carrefour, Giant, and Tesco have implemented “No Plastic Bag Day” practise to minimize the plastic usage. Meanwhile, many corporate sectors in Malaysia have launched their respective green initiatives. For example, Sime Darby held a campaign program known as “Plant a Tree Program”. DIGI has launched “Deep Green” and “Mangrove-Saving Project” with the aims to develop a green value chain with the help from its local communities and various stakeholders. Besides, the purpose of the “The Light” project that launched by IJM Land Berhad was to promote green property that includes some green technologies in its construction. Not only that, recently 8TV has actively promoted and educated public regarding the positive behaviour towards environment via a television programme known as “Let’s Cycle”. In additions, government also encourage all institutions to participate in “Earth Hour” campaign on March 28 every year to turn off the light for one hour in order to promote environmental awareness to public as well as to respond to the support of green activities. According to Our Green World (2008), an online survey conducted by the global market insight and information group TNS in 2008 shown about 35% Malaysian respondents resulted that “green” promotion launched by companies would influence their purchasing decisions. Meanwhile, about 83% Malaysian respondents replied from online survey shown that their buying decision would be affected based on their perceptions towards how environmental protection was implemented by a company. These finding results are consistence to Abdul Wahid & Abustan (2002) which found that majority consumers indicated that their purchasing intention will affect by the green products’ advertisement. Besides that, consumers now are more care and aware of their consumption behaviour to the environmental impact. 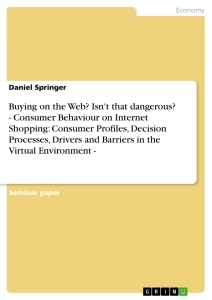 Dagnoli and Klein’s study (as cited in Follows and Jobber, 2000) discovered that more than 60% of consumers were linked their buying behaviour with the impact on the environmental. It shows that consumers now are more prefer on green products. This implies that there is increasing number of green consumers in the market. Therefore, concern to the environmental issues did change the consumers’ consumption pattern because they are starting to realize that their buying behaviour can actually bring a significant impact to their environmental. Although the green marketing create an opportunity to those marketers, but they still encounter some greatest challenges such as tendency of consumers acceptance towards green products, changes in consumers preferences, unfavourable consumers perception towards green products, high cost investment in developing in green marketing, misgiving of green advertising claim and others challenges. Hence, companies who wish to sustain in this market should resolve all challenges encounter by them, advocate the contribution of consumers towards environment by purchase green products and deeply analyse on the consumers preferences towards green products. Meanwhile, companies should practice social responsibility by offering environmental friendly products. This can be the competitive advantage for those companies who wish to a leader in the green marketing. Environmental sustainability is a matter which can not be ignored, so business organizations have to recognize the competitive advantages and business opportunities to be gained from green marketing although it may cost to the organization. Consumers also have to largely aware of the usefulness of adapting to the green products. Green marketing incorporates a broad range of activities, including product modification, changes to the production process, packaging changes, as well as modifying advertising. (Michael Jay Polonsky, 1994). Today, marketing parishioners of FMCG sector in Malaysia use environment friendly packaging and modify the products to minimize the environment pollution. However, there is a big argument among the marketing philosophers regarding attractiveness of green product to customers in developing country like Malaysia. With this background, the researchers have made attention on attractiveness of green marketing strategies in Malaysia. 1. To investigate the consumer attractiveness towards eco-friendly products in FMCG sector and their impact of purchasing decision. 2. To evaluate consumer attitudes and perception regarding eco-friendly FMCG products under four value-added areas such as product, package, place and promotion that lead towards the motivation of consumption. 3. To identify whether there is a relationship between factors influence (social influences, environmental attitudes, environmental concern, perceived effectiveness of environmental problems, perceived effectiveness of environmental behaviour, perceived environmental responsibility, and government initiative) and working consumers’ green purchasing behaviour. 1. Is consumer attractiveness towards eco-friendly products in FMCG sector impact purchasing decision? 2. Is consumer attitudes and perception regarding eco-friendly FMCG products under four value-added areas such as product, package, place and promotion lead towards motivation of consumption? 3. 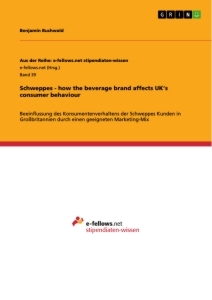 Is there any relationship between factors influence (social influences, environmental attitudes, environmental concern, perceived effectiveness of environmental problems, perceived effectiveness of environmental behaviour, perceived environmental responsibility, and government initiative) and working consumers’ green purchasing behaviour? H1: A significant relationship exists between consumer attractiveness towards eco-friendly products in FMCG sector and their impact of purchasing decision. H2: A significant relationship exists between consumer attitudes and perception regarding ecofriendly FMCG products under four value-added areas such as product, package, place and promotion that lead towards the motivation of consumption. H3: A significant relationship exists between factors influence (social influences, environmental attitudes, environmental concern, perceived effectiveness of environmental problems, perceived effectiveness of environmental behaviour, perceived environmental responsibility, and government initiative) and working consumers’ green purchasing behaviour. The conceptual framework is the foundation for this research. In this study, both Theory of Reasoned Actions (TRA) and Theory of Planned Behaviour (TPB) theories are used to form the research framework. The figure above shows the conceptual framework established to study the relationship between dependent and independent variables. As we known that “green” was the mainstream in business due to awareness of environmental issues. However, only few researches have related to the topic of green purchase behaviour in Malaysia context. Therefore, deeply examine in this related topic will provide a clear understanding for marketers on working consumers’ purchasing behaviour towards green products. Apart from this, this study also assists marketers to better understand the potential of green market as well as the green purchase tendency of consumers. Normally, what was prefers by consumers now may not remain the same in the future due to dynamic change in the competitive business world. Consumers’ green purchasing behaviour is constantly changed. Therefore, continuously exploring in the green consumption pattern and preference of green purchase is a must for all green marketers who wish to improve and sustain their competitive advantage. Cheah (2009) and Chen and Lau (2010) stated that the demand of green products in Malaysia market was increasingly. Besides, about 83% Malaysian respondents replied from online survey shown that their buying decision would be affected based on their perceptions towards how environmental protection was implemented by a company. According to Lung (2010) found that around 95% consumers from Thai, more than 80% Korean and Malaysian consumers are willing to pay more for green products. It is worth to discover what actually drives consumer from emerging market to buy green products and provide foresights to green marketers who wish to target in the market segment. In additions, this study also can help marketers well known on the consumers’ willingness to buy green products. According to Bui (2005), there have a significant amounts of studies has been conducted on topics regarding to the purchasing of environmental friendly products or consumers behaviour towards environmental friendly products since 1970’s. However, a study conducted by Abdul Wahid et al. (2002) concluded that respondents who possess high awareness of environmental issues not so willing to purchase environmental friendly products. According to Ohtomo & Hirose’s study (as cited in Ooi, Kwek, & Keoy 2012) said that although a person was concerned and appreciated to her or his environment will not necessarily perform in a green manner or buy green products. This state of affairs was known as value-action gap. Dickson (2001) explained that value-action gap is “a gap between the high value people place on the nature environment and relatively low level of action taken by individuals to counter environmental problems”. Blake (1999) also defined value- action gap was “the gap occur when the values or attitudes of an individual do not correlate with their actions”. It means that consumers will only support and buy green products when their environmental awareness and consciousness align with their purchase behaviour (Ajzen, 1991). Hence, a study proves that people who are aware of the environment do not necessarily behave in green manner (Ooi et al, 2012). Therefore, researcher need to have a deep investigation on the factors influencing that caused the situation above and fully understanding what factors will mainly and exactly influence and affect consumers purchasing behaviour towards green products. Furthermore, this research can assists and benefit marketers in promoting and increasing the awareness of working consumers towards green products. It also can provide useful foresight to manufacturers who wish to target on working consumers. On the other hand, government would like to encourage more Malaysia entrepreneurs to participate in production, promotion and marketing of the green products in order to promote and increase green consumptions among Malaysian consumers. These enable consumers to found that green products would be better met their needs and wants in the near future. Green consumption is a way to support for sustainable development which can provide a better and improved natural environmental to society. According to Ward (2010), sustainable development means “development that meets the needs of the present without compromising the ability of future generations to meet their own needs”. Consequently, this study can provide an overview of the green marketing to marketers who have interest to penetrate on it. It also provide beneficial to commercial sector that targeted on green consumers to have a better understand in the green market abilities and capabilities. This chapter provide an overview study on the factors influence on working consumers’ purchasing behaviour. Next chapter will be discussed on the variables and developed a proposed conceptual framework that descripted the relationships between variables and working consumers’ green purchasing behaviour. All the former researchers’ statements or results are provided and explained in next chapter. This chapter provides a literature review of factors that influence working consumers’ purchasing behaviour towards green products. The purpose to conducted literature review is to further define the term and the characteristics of the topic related in respectively. After that, a good conceptual framework will be developed to summaries the variables’ relationship in a graphical way, follow by hypotheses development. This chapter will end with conclusion of this chapter. Green consumers are defined as consumers who are concern, care and pay close attention to the environmental issues (Soonthonsmai, 2007). Green consumers always have a clear mindset that they have the responsibility to the environmental protection and concern for the environment issues. Therefore, green consumers always purchase products that have less environmental impact. Green consumers also defined by Renfro (2010) as the people who support businesses that trade in the environmental friendly or green manner. Therefore, not only organic product will be buy by green consumers, those products that have eco-label or eco-friendly packing will always being chosen by green consumers. In addition, corporates or companies such as Starbucks and The Body Shop are actively participate in the fair trade or environmental save programme. This practice will be always supported by green consumers. Table 1 show the different types of green consumers and their implications for the green marketers. For better understanding of the green consumers, it was essential to have some knowledge and understandable about the green products. Source: Government, Q. (2009). Fact Sheet Green Marketing. E. P. Agency. Many researchers have defined green product in various definitions. Ottman (1998), Nimse, Vijayan, Kumar, and Varadarajan (2007) and Pavan (2010) defined green products as products that made from recyclable materials, least wastage or minimum packaging, less or non-toxic substance, and reduce the wastage of energy and water. Generally, green products also known as environmental friendly products or ecological products which enhance or protect the environment and brings less negative impact or harmful effect to environment as well as human. According to Baker and Ozaki (2008), it was difficult to define environmentally sustainable products because there is unable to find a green product that is genuinely green or sustainable. All the goods or products that we purchase, use or throw away will have some negative impacts and consequences to the environment at its lifecycle stage. Therefore, Baker et al. (2008) concluded that environmentally sustainable products were those products that have less or low impact to the environmental. Moreover, Schlegelmilch, Bohlen, and Diamantopoulos (1996), Lee (2008) and Pavan (2010) had classified green products into several categories which are contain natural ingredients, original grown, do not pollute environment, not test on animals, contain recycled content, recyclable and reusable, and contain approved chemical. Examples of green products include organic agricultures or food, green (lead-free) electronics products, alternative fuel vehicles and hybrids, eco-friendly garments, and other green products. They must always keep in mind that consumers are unlikely to compromise on traditional product attributes, such as convenience, availability, price, quality and performance. It's even more important to realize, however, that there is no single green-marketing strategy that is right for every company. (Prothero,, and McDonagh, 1992) Despite the increasing eco-awareness in contemporary market economies, it is generally recognized that there are still considerable barriers to the diffusion of more ecologically oriented consumption styles. In lay discourse as well as in much of consumer research, these barriers are usually attributed to the motivational and practical complexity of green consumption (Hackett, 2000). Increased use of Green Marketing is depending on five possible reasons. Moreover, environmentally responsible behavior usually involves difficult motivational conflicts, arising from the fundamental incompatibility of environmental protection-related collective goals and individual consumers' personal or self-interested benefits and the resulting free-rider problem (Wiener and Doesher, 1991) Public policymakers will continue to develop more efficient ways to regulate waste and pollution, and scientists will continue to gather information about the environmental risks from various substances or practices. As they do, pricing structures will evolve that communicate even more accurate information to manufacturers and entrepreneurs about the true cost of commercial activities and the potential rewards from innovative solutions to environmental problems. This definition incorporates much of the traditional components of the marketing definition that is "All activities designed to generate and facilitate any exchanges intended to satisfy human needs or wants" (Schlegelmilch et al,1996). There are usually severe external constraints to green consumerism, arising from the cultural, infrastructural, political and economic circumstances in the markets and society (McIntosh, A. 1991). Both individual and industrial are becoming more concerned and aware about the natural environment. In a 1992 study of 16 countries, more than 50% of consumers in each country, other than Singapore, indicated they were concerned about the environment (Ottman 1993). A 1994 study in Australia found that 84.6% of the sample believed all individuals had a responsibility to care for the environment. A further 80% of this sample indicated that they had modified their behavior, including their purchasing behavior, due to environmental reasons (EPA-NSW 1994). Owing to the conceptual and moral complexity of 'ecologically responsible consumer behavior' and to the perplexity of ecological information, different consumers have different conceptions of ecologically oriented consumer behavior and, thus, myriad ways of acting out their primary motivation for being green consumers (Antil, 1984). These innovations aren't being pursued simply to reduce package waste. (Prothero, 1990) Food manufacturers also want to improve food preservation to enhance the taste and freshness of their products. The cost of the foods would be lower; consumers could enjoy the convenience of pre-sliced ingredients, and waste peelings (Prothero, 1990). It can be assumed that firms marketing goods with environmental characteristics will have a competitive advantage over firms marketing non-environmentally responsible alternatives. There are numerous examples of firms who have strived to become more environmentally responsible, in an attempt to better satisfy their consumer needs. (Schwepker, and Cornwell, 1991) While governmental regulation is designed to give consumers the opportunity to make better decisions or to motivate them to be more environmentally responsible, there is difficulty in establishing policies that will address all environmental issues. (Schwepker, and Cornwell, 1991). Hence, environment-friendly consumption may be characterized as highly a complex form of consumer behavior, both intellectually and morally as well as in practice. Polonsky (1994) stated that “green or environmental marketing consists of all activities designed to generate and facilitate any exchanges intended to satisfy human needs or wants, such that the satisfaction of these needs and wants occurs with minimal detrimental impact on the natural environment”. In other words, green marketing was a path for companies to introduce and promote environmental friendly or green products to customers in order to satisfy its customers’ needs and wants. Generally, companies or organizations that penetrated in green marketing will vigorously promote its environmental friendly policies and achievements to its target customers as well as potential target customers. It means that companies or organizations need to advertise and promote its products or services that composite with environmental or green characteristics like organic, environmental friendly and recycle that applied in producing consumer products or goods. Besides, the difference between conventional marketing and green marketing lead to a variety of activities needed in green marketing which includes modification on the products, changes in the productions process, change in the products distribution, new style and decoration in products packaging, and change in the way of marketing communications. Table 2 explained the better way to understand the concept of green marketing. Source: Prem & Daleen (1993). Consumer Awareness towards Green Marketing, 2011. According to the Dagnoli (1991), there were a growing number of people that prefer to purchase environmental friendly products will lead to increasingly in the number of green customers. In other words, consumers now are more concern to business that play more environmental efforts and they will support companies that excellent in and master with their green marketing. However, green consumers not really will buy green products although they have plenty knowledge on green products (Nik Abdul Rashid, 2009), possess high awareness of environmental issues (Abdul Wahid et al., 2002) or concerned and appreciated to her or his environment (Ohtomo & Hirose’s study as cited in Ooi et al., 2012) will not necessarily behave in green manner or take responsibility to purchase environmental friendly or green products. This circumstance may due to some wrong green marketing practices implemented by companies which led to the failure of green marketing. Table 3 illustrates in details about the practices of green marketing that led to the failure of green marketing. Source: Peattie, K., & Crane, A. (2005). Green marketing: Legend, myth, farce or prophesy? Qualitative Market Research: An International Journal, 8(4), 357-370. According to Peattie and Crane (2005), ‘green selling’ is one of the practices that commonly led to the failure of green marketing. To seize the business opportunities of green marketing trend, many companies blindly follow the trend by adding some green characteristic into the original products in order to boost their sales without conducts a thoroughly research and plenty knowledge on concept of green marketing and green consumerism. Moreover, some companies who implements green harvesting practices will become enthusiastic to the environment only when this practice could led to cost savings such as package reductions (Peattie et al., 2005). In addition, according to Peattie et al. (2005), some firms also practice entrepreneur marketing by developing an innovative green products to market without clearly understand the actual needs and wants of consumers. In other words, it produces useless products to market because the products didn’t meet the needs and wants of consumers. To avoid misuse on marketing practices, marketing practitioners should thoroughly understand the green marketing concept in order to help them select and implement the right green marketing practices which in return can bring a lot of benefits to companies. Besides, there are some international companies that implement their green practices and strategies successfully in green marketing. For example, according to Petrecca & Howard (2007), Timberland implement green packaging in its shoeboxes by using 100% recycled material. A new label that draws up the shoes consisted of organic, recycled, and renewable materials contents was introduced to market in 2007. The company’s green effort can be recognized by consumers through the new label of its products. Therefore, Timberland was successfully improved the environment (Petrecca et al., 2007). In additions, according to Petrecca et al. (2007), PepsiCo also successfully improve the environment through its business operations. In 2007, solar energy was staring to implement into PepsiCo’s building and water are recycles from its own factory. Apart from this, according to Sinnappan et al. (2011), Malaysia has enacted the Environment Quality Act since 1974. This indicated that Malaysia is one of the countries that have seriously considered the environment impact and issues. Except enacting legislation to protect environment and beware of environmental deterioration, government recently have established the “Ministry of Energy, Green Technology and Water” to meets the sustained increase in demand and improvement of green technology towards sustainable development. Ahmed, Kamalanabhan & Chih (2001) revealed some green corporations in Malaysia have contributed to the environment by implemented green marketing strategies. For example, Canon Corporation emphasize on the using the recycle cartridge in its “Clean Earth Campaign” to reduce the environmental pollution. Besides, 3M Company deemed that prevention is better than cure. Hence, they are focus on and struggle in preventing the pollution sources rather than remove it. In addition, Monark is stressed on green manufacturing processes by using the recycle bottle in order to lessen the waste and control the pollution rate. Furthermore, Rampai Niaga Sdn Bhd emphasized its cosmetic and toiletries products of are no animal testing. It used this competitive advantage to distinguish itself from competitors. Some studies on green segmentation have been conducted by past researchers. Laroche, Bergeron & Barbaro-Forleo (2001) were investigated on the North America consumers’ willingness to pay more for eco-friendly products based on the consumers’ demographics, psychological and behavioural. They found that women who are married with at least one child were supported to its result. Besides, the analysis has been done by Paco et al. (2009) regarding to the demographic and environmental criteria in Portuguese consumers was found that they were reluctant to buy green products even though they are aware of the environmental issues. For Straughan et al. (1999), they study had shown that psychographic criteria was more accurate and useful than demographic criteria in analyse consumers purchasing behaviour. According to Gupta and Ogden (2009), “trust”, “in-group identity”, “expectation of others’ cooperation” and “perceived efficacy” was useful individual characteristics to differentiate buyers from “green” or “non-green”. Their research also helpful in understanding the reasons caused the gap between attitude and behaviour in green consumerism. In recent years, researchers only start carries out studies on environmental labels. D’Souza (2004) had developed a model to classified consumers into four categories, namely “environmentally green consumers”, “emerging green consumers”, “price sensitive green consumers” and “conventional consumers”. D’Souza et al. (2006) were further investigated on the different environmentalism level of Australian consumers through the influence of environmental labels. They study found that consumers can be grouped into either they found environmental labels are difficult to understand or they can read the labels and willing to buy green products although the products are in low quality (D’Souza et al, 2006). However, there has only few researchers conducted qualitative research related to green purchase behaviour and green strategy. After discover this research gap, Tadajewski and Tsukamoto (2006) conducted a qualitative research to study on the complexity behavioural of UK and Germany consumers towards green products by using life-cycle analysis. Their study shows that looking for the products’ brand name was the simplest way for consumers to evaluate the “greenness” of a product (Tadajewski et al., 2006). Besides, Pujari and Wright (1996) also conducted a qualitative study in analysing the product development strategies for eco-friendly products on the selected companies in Britain and Germany.